First time brewers often rush to buy their first lager kit, planning to brew the beers they have always tasted at home. Alas, most of these projects end in disaster since true lagers can’t be fermented properly without refrigeration in the mid to low 50 degree F (around 11-12 C) range. Fermenting at room temperature results in an excess of esters (fruity or spicy), fusel alcohols, diacytl (butterscotch), and sulfur flavors. 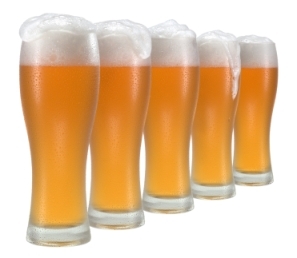 Also since lagers are very light in body and flavor, any flaws are easily noticed. Mashing Profiles – Many, though not all, lagers are brewed with a relatively light flavor profile and have a clean crisp finish. To achieve this finish, you want to mash at a lower temperature – around 148 F (64.4 C). Some people even use a special two step mash profile for lagers – one step at the low 140’s (60-62C) and a second step in the mid to high 150’s (69 C). This two step lager mash activates both alpha and beta enzymes maximizing the conversion of sugars into maltose – resulting in a light body, more complete fermentation. The temperature controller (e. g. Pixsys) is very important in brewing process, so I’d recommend it.